With over a thirty years of IT security experience, Chris joined Ascension Global Technology as Chief Information Security Officer (CISO) in July 2018. A University of Maryland University College graduate, Chris attained his MBA and Bachelor of Science Degree in Cybersecurity. He has worked in cyber security across diverse sectors, including for private enterprise and the Federal Government. He is also an entrepreneur, having established his cybersecurity consulting firm, 360 Degree Cyber Security, which offers an information security specialist resource for small businesses and municipalities in the Mid-Atlantic region. 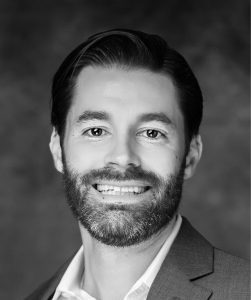 Chris currently serves as the Head of Information Security and Data Protection for Perdue Farms Inc. where he is responsible for the information security, industrial cyber security, and data privacy programs. A former U.S. Navy Chief Petty Officer, Chris was responsible for analyzing and reporting on potential threats to the U.S. Navy in his role as a Cyber Threat Technical Analyst. Chris is a board member of the Leadership Advisory Board for Maritime and Port Security Information Sharing and Analysis Organization (MPS-ISAO). Additionally he serves on the board of directors of the Delaware chapter of the Infragard. Throughout his career, Chris has enjoyed mentoring the next generation of up-and-coming cybersecurity professionals. Jack Norman is an energetic information security leader with a passion for making the world a better place through security, privacy, education, and effective management. 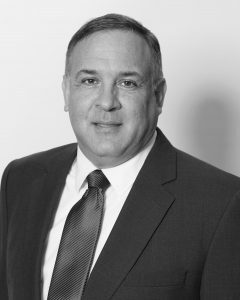 With over 18 years of experience, Jack Norman joined AGT February 2019. He is very skilled in software development, information assurance, and information security within the defense, public and private sectors. He has his MS, information assurance and cybersecurity, executive master’s of business administration, emergency management and homeland security graduate certificate, BS in electrical engineering, and is a certified information systems security professional. He is a professor of information security at Full Sail University, OWSAP Orlando board member, B-Sides Orlando organizer, and a part of the USF cybersecurity for executives advisory board. Daniel Pal joined Ascension Global Technology as Information Security Engineer in March, 2018. Daniel graduated from Youngstown State University with a Bachelor of Applied Science in Information Technology. With over a decade of experience as a network and security engineer, he has worked in information security roles across government and private enterprise. Daniel was formerly a Security Engineer II at Web.com and a Senior System Engineer/Security Officer at ANS. He is also currently an Information Security Engineer IV at MRI Software. Daniel has served on the SANS Advisory Board since March 2010. He is currently the Secretary of INFRAGARD Florida (Jacksonville Members Alliance Chapter). Arun Francis joined Ascension Global Technology as a Technical Account Manager in January 2019. Arun finished his Bachelors of Technology in Information Technology from Anna University in 2008. 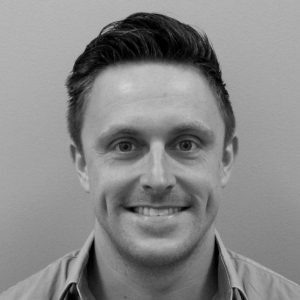 He has over 10 years of experience in network security and project management. He has strong knowledge of technical skills such as TCP/IP, VPN, Proxy, Routing & Switching, Layer 7, 4, 3 protocols, and SD-WAN. 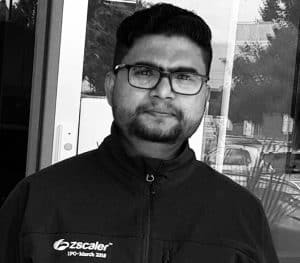 Recently Arun has worked with Zscaler as a Technical Account Manager after previously working with Websense, Mcafee, Juniper and CSS Corp. His experience includes computer networking, working as a network architect, firewalls, cloud web security, project design, and technical support. "AGT" offers complete end-to-end security protection through technology tools, cybersecurity strategy, consulting, and project management services. From addressing specific security gaps to a full environment cybersecurity strategy. With services designed to improve any organization’s overall organizational security posture, AGT develops strategies to implement and deploy successful cybersecurity solutions to protect companies from data and financial loss. A new company culture for a new generation. What you need to know about SD-WAN security. COPYRIGHT 2018 Ascension Global Technology ("AGT"), All Rights Reserved.